This article is about the men's team. For the women's team, see Wales women's national rugby union team. The Wales national rugby union team (Welsh : Tîm rygbi'r undeb cenedlaethol Cymru) competes annually in the Six Nations Championship with England, France, Ireland, Italy and Scotland. Wales have won the Six Nations and its predecessors 27 times outright. Wales' most recent championship and Grand Slam victory came in 2019. The Six Nations Championship is an annual international rugby union competition between the teams of England, France, Ireland, Italy, Scotland, and Wales. The current champions are Wales, who won the 2019 tournament. The England national rugby union team competes in the annual Six Nations Championship with France, Ireland, Scotland, Italy, and Wales. They have won this championship on a total of 28 occasions, 13 times winning the Grand Slam and 25 times winning the Triple Crown, making them the most successful outright winners in the tournament's history. They are ranked fourth in the world by the International Rugby Board as of 18 March 2019. England are to date the only team from the northern hemisphere to win the Rugby World Cup, when they won the tournament back in 2003. They were also runners-up in 1991 and 2007. The governing body, the Welsh Rugby Union (WRU), was established in 1881, the same year that Wales played their first international against England. 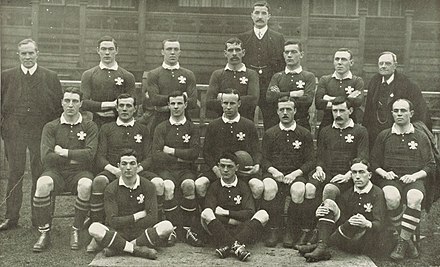 Wales' performances in the Home Nations Championship (now the Six Nations) continued to improve, experiencing their first 'golden age' between 1900 and 1911. They first played New Zealand, known as the All Blacks, in 1905, when they defeated them 3–0 in a famous match at Cardiff Arms Park. Welsh rugby struggled between the two World Wars, but experienced a second 'golden age' between 1969 and 1980 when they won eight Five Nations Championships. The Welsh Rugby Union (WRU) is the governing body of rugby union in the country of Wales, recognised by the sport's international governing body, World Rugby. The New Zealand national rugby union team, called the All Blacks, represents New Zealand in men's rugby union, which is known as the country's national sport. The team has won the last two Rugby World Cups, in 2011 and 2015 as well as the inaugural tournament in 1987. Cardiff Arms Park, also known as The Arms Park and the BT Sport Cardiff Arms Park for sponsorship reasons from September 2014, is situated in the centre of Cardiff, Wales. It is primarily known as a rugby union stadium, but it also has a bowling green. The Arms Park was host to the British Empire and Commonwealth Games in 1958, and hosted four games in the 1991 Rugby World Cup, including the third-place play-off. The Arms Park also hosted the inaugural Heineken Cup Final of 1995–96 and the following year in 1996–97. Wales played in the inaugural Rugby World Cup in 1987 where they achieved their best ever result of third. Following the sport allowing professionalism in 1995, Wales hosted the 1999 World Cup and, in 2005, won their first Six Nations Grand Slam. That was the first Grand Slam won by a team playing most of the matches away from home. Wales won three more Grand Slams in 2008, 2012 and 2019. In 2011, they came fourth in the Rugby World Cup. The 1987 Rugby World Cup was the first Rugby World Cup. New Zealand and Australia agreed to co-host the tournament. New Zealand hosted 20 matches – 17 pool stage matches, two quarter-finals and the final – while Australia hosted 12 matches – seven pool matches, two quarter-finals and both semi-finals. The event was won by co-hosts New Zealand, who were the strong favourites and won all their matches comfortably. France were losing finalists, and Wales surprise third-place winners: Australia, having been second favourites, finished fourth after conceding crucial tries in the dying seconds of both the semi-final against France and the third-place play-off against Wales. The 1999 Rugby World Cup was the fourth Rugby World Cup, the quadrennial international rugby union championship. It was principally hosted by Wales, and was won by Australia. 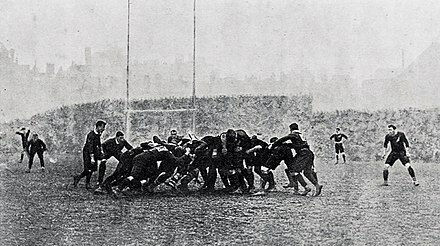 This was the first Rugby World Cup to be held in the sport's professional era. 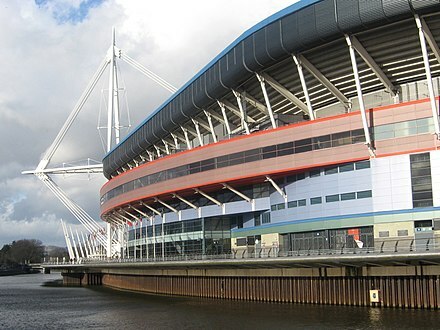 Their home ground is the Millennium Stadium, currently known for sponsorship reasons as the Principality Stadium, completed in 1999 to replace the National Stadium at Cardiff Arms Park. Eight former Welsh players have been inducted into the World Rugby Hall of Fame; 10 were inducted into the International Rugby Hall of Fame prior to its 2014 merger into the World Rugby Hall. The World Rugby Hall of Fame recognises special achievement and contribution to the sport of rugby union. The World Rugby Hall of Fame covers players, coaches, administrators, match officials, institutions and other individuals. The Hall of Fame recognises the history and important contributions to the game, through one or more induction ceremonies that have been held annually except in 2010. The permanent physical home of the Hall of Fame has been based at the Rugby Art Gallery and Museum in Rugby, Warwickshire since November 2016. The International Rugby Hall of Fame (IRHOF) was a hall of fame for rugby union. It was created in 1997 in New Zealand and is run as a charitable trust with an address at Chiswick in London. Most of the trustees are also inductees. IRHOF accepted new inductees every two years until 2007. Most inductees are former players, but others who have contributed to the game are eligible. In 2014 it was integrated into the then–IRB Hall of Fame, which then was renamed the World Rugby Hall of Fame. Rowland Williams was vice-principal and Professor of Hebrew at St David’s College, Lampeter, from 1849 to 1862 and was one of the most influential theologians of the nineteenth century. He supported biblical criticism and pioneered comparative Religious Studies in Britain. He was also a priest in the Church of England, the vicar of Broad Chalke, where he is buried. Williams is also credited with introducing rugby football to Wales – Lampeter's team was the first to be established in the nation. University of Wales, Lampeter was a university in Lampeter, Wales. Founded in 1822, and given its royal charter in 1828, it was the oldest degree awarding institution in Wales, with degree awarding powers since 1852, and the fourth oldest institution of higher learning in England and Wales after the universities of Oxford, Cambridge and Durham. St. David's was a college. In 2010 it merged with Trinity University College to create the University of Wales Trinity Saint David. Lampeter is a town, community and electoral ward in Ceredigion, South West Wales, at the confluence of the River Teifi and the Afon Dulas. It is the third largest urban area in Ceredigion, after Aberystwyth and Cardigan, and has a campus of the University of Wales Trinity Saint David. The 1893 Home Nations Championship was the eleventh series of the rugby union Home Nations Championship. Six matches were played between 17 January and 11 March. It was contested by England, Ireland, Scotland and Wales. In winning all three matches, Wales won the Championship for the first time and also took the Triple Crown. In rugby union, the Triple Crown is an honour contested annually by the "Home Nations" – i.e. England, Ireland, Scotland, and Wales who compete within the larger Six Nations Championship. If any one of these teams defeats all three other teams, they win the Triple Crown. The 1900 Home Nations Championship was the eighteenth series of the rugby union Home Nations Championship. Six matches were played between 6 January and 17 March. It was contested by England, Ireland, Scotland and Wales. In 1909, Wales won the Home Championship and then, in 1910 – with the inclusion of France – the first Five Nations. In 1911, Wales took the first Five Nations Grand Slam by winning all their matches in the Five Nations;  [lower-alpha 3] France were heavily defeated by Wales at St Helens in 1910 (49–14) and Ivor Morgan scored two tries in the match. It would be nearly 40 years before they achieved a Grand Slam again. England's defeat of Wales at Cardiff in 1913 was Wales' first home loss to one of the Home Nations since 1899, and their first home loss to England since 1895. The Great War came in 1914 and rugby was suspended for the duration. New Zealander Graham Henry coached Wales to their first Test win over South Africa in 1999. Michael Owen takes a line-out. At the 2011 World Cup, Wales reached the tournament semi-finals for the first time since 1987 where they lost 9–8 to France after a red card for captain Sam Warburton. The two teams met again in March 2012, where Wales needed a win to claim their third Six Nations Grand Slam in eight years, which they did with a 16–9 victory. This was followed immediately by an eight-match losing streak, which was eventually broken during the 2013 Six Nations,  where Wales retained the Championship for the first time since 1979 wins. Wales reached the quarter-finals of the 2015 World Cup at the expense of hosts England, then lost 23–19 to South Africa. Wales also achieved a fourth Grand Slam in 14 years and their first in 7 years in the 2019 Six Nations. Wales compete annually in the Six Nations Championship, which is played against five other European nations: England, France, Ireland, Italy, and Scotland. The Six Nations started as the Home Nations Championship in 1883, as a contest between the four component nations of the United Kingdom. 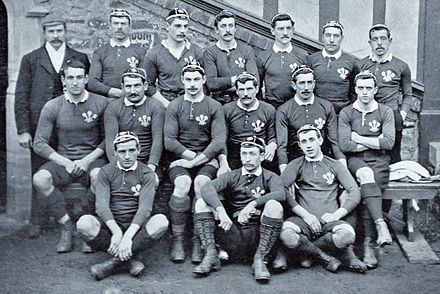 Wales first won it in 1893, when they achieved a Triple Crown. Wales have won the tournament outright 27 times, and shared 12 other victories. Their longest wait between championships was 11 years (1994–2005). Wales first won a Grand Slam in 1908 –although France did not officially join the Five Nations until 1910 –and their first Six Nations Grand Slam in 2005. Their most recent Grand Slam and Triple Crown were won in 2019 with victory over Ireland on the final day of the Six Nations tournament. Wales have contested every Rugby World Cup since the inaugural tournament in 1987. In the next two tournaments in 1991 and 1995, Wales failed to progress beyond the pool stage, winning just one match in each tournament. They also became the first co host nation to not make it out of the pool stage in 1991. At the 2015 World Cup Wales were in the same pool as Australia, England, Fiji and Uruguay. They finished second in the pool behind Australia and ahead of hosts England. South Africa defeated Wales in the quarter final. The WRU contacts some players under "dual contracts" that are 60% funded by the national union, and 40% by the player's regional side. The contracts restrict the number of domestic matches the player can play each season while guaranteeing their availability for Wales. The number of caps relates to the number of caps won upon signing first National dual contract. Former Wales forward Colin Charvis scored 22 tries for his country, the most ever by a forward. 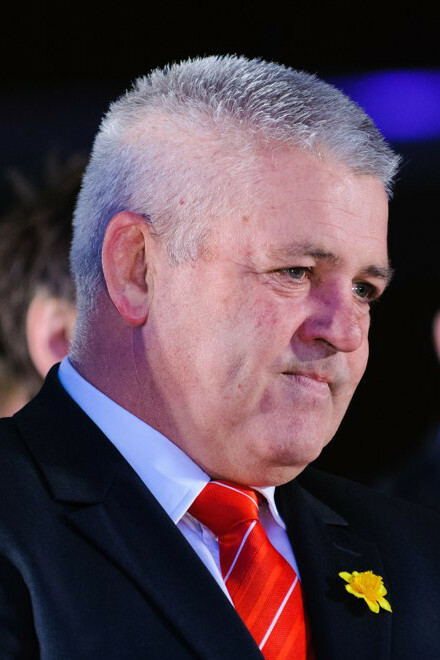 Wales coach Warren Gatland was appointed in 2007, and coached Wales to Six Nations Grand Slams in 2008, 2012 and 2019, more than any other coach. ↑ For more information see Introduction of regional rugby union teams in Wales. The Scotland national rugby union team is administered by the Scottish Rugby Union. The team takes part in the annual Six Nations Championship and participates in the Rugby World Cup, which takes place every four years. As of 18 March 2019, Scotland are 7th in the World Rugby Rankings. Rugby union in Wales is the national sport and is considered a large part of national culture. Rugby union is thought to have reached Wales in the 1850s, with the national body, the Welsh Rugby Union (WRU) being formed in 1881.Wales are considered to be one of the most successful national sides in Rugby Union, having won the most nations championships in Northern Hemisphere competition, as well as having reached 2 World Cup semi finals in 1987 and 2011, having finished 3rd in the inaugural competition and having finished 4th in 2011 in a repeat of the first third place play-off. The Welsh team of the 1970's is considered to be arguably the greatest national team of all time, prompting many experts in the game to suggest that had the Rugby World Cup existed during this period, Wales would be amongst the list of World Cup winners. They go in to the 2019 competition amongst the favourites, sitting second in the world rankings, above fellow Northern Hemisphere contenders Ireland and England. The Ireland national rugby union team represents the island of Ireland in rugby union. They are ranked third in the world by World Rugby as of 18 March 2019. The team competes annually in the current Six Nations Championship, which they have won fourteen times outright and shared nine times in its various formats. The team also competes every four years in the Rugby World Cup, where they reached the quarter-final stage in all but two competitions. Ireland is also one of the four unions that make up the British and Irish Lions – players eligible to play for Ireland are also eligible for the Lions. The France national rugby union team competes annually against England, Ireland, Italy, Scotland and Wales in the Six Nations Championship. They have won the championship outright seventeen times, shared it a further eight times, and have completed nine grand slams. Ten former French players have been inducted into the World Rugby Hall of Fame. France are currently ranked 8th in the World Rugby Rankings as of March 18th 2019. 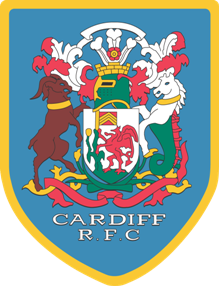 Cardiff Rugby Football Club is a rugby union football club based in Cardiff, the capital city of Wales. The club was founded in 1876 and played their first few matches at Sophia Gardens, shortly after which relocating to Cardiff Arms Park where they have been based ever since. Warren David Gatland, OBE is a New Zealand rugby union coach, currently the head coach of Wales. Since he became coach in 2007, Wales have won four Six Nations titles, including three Grand Slams, and reached the semi-final of the 2011 World Cup. Gatland was also head coach of the British and Irish Lions on their 2013 tour of Australia, where they won the Test series 2-1, and 2017 tour of New Zealand, when the series was drawn. Martyn Elwyn Williams, is a former Wales and British and Irish Lions international rugby union player. A flanker, he was Wales' most-capped forward with 100 caps until surpassed by Gethin Jenkins on 30 November 2013. He remains Wales most capped back row forward. Gareth John James Jenkins is a former Welsh rugby union rugby player, and former head coach of the Welsh national team. After a long and distinguished career at Llanelli RFC, Jenkins was appointed Wales coach in 2006, succeeding Mike Ruddock. He was sacked by the Welsh Rugby Union on 30 September 2007, following Wales' failure to qualify for the quarter-finals of the 2007 Rugby World Cup. He left the role with just six wins from twenty test matches. The French national rugby union team first competed at the 1900 Summer Olympics. The Wales women's national rugby union team first played in 1987. Wales plays in the Women's Rugby World Cup and the Women's Six Nations Championship. Jamie Huw Roberts is a Welsh rugby union player. He has played for Wales since 2008, and has represented the British and Irish Lions on their tours to South Africa in 2009 and Australia in 2013. Roberts is currently playing for Bath Rugby in the English Premiership. His usual position is centre. William Rex Willis was a Welsh international rugby union scrum-half who played club rugby for Cardiff and invitational rugby for the Barbarians. He won 21 caps for Wales and was selected to play in the British Lions on the 1950 tour of Australia and New Zealand. Clifford 'Cliff' William Jones OBE was a Welsh international rugby union fly-half who played club rugby for many teams but is most associated with Cardiff and Cambridge University. Jones was known as a quick and elusive runner, but was also noted for his numerous injuries which limited his international and club appearances. Alex Cuthbert is a Welsh rugby union player. Born in Gloucester, he plays on the wing for Exeter Chiefs and the Wales national team. The history of the Wales national rugby union team from 2005 to 2015 covers a period where the side won three Grand Slams in the Six Nations Championship, as well as another Championship victory. The Grand Slams, in all the tournament matches, were achieved in 2005, 2008 and 2012. Their other Six Nations Championship, in 2013, was won without achieving a Grand Slam. The country has not enjoyed as much success against the major southern hemisphere opposition of Australia, New Zealand and South Africa. New Zealand have not been defeated by Wales since 1953, and South Africa have only been defeated five times since 2005: a 12–6 victory in 2014, a 27-13 victory in 2016, a 24-22 victory in 2017, a 24-22 victory in Washington DC in 2018 followed by a 20-11 win in Cardiff in 2018. 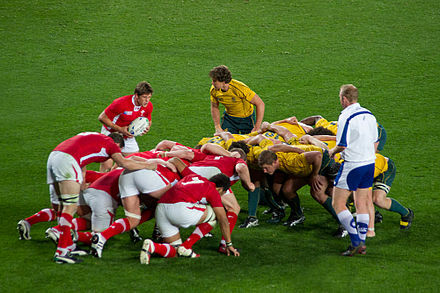 Wales defeated Australia in November 2005, and also in November 2008. Following this, Wales suffered a thirteen-match losing streak to the Wallabies. This ended in 2018, when Wales defeated Australia 9-6. The history of the Ireland national rugby union team began in 1875, when Ireland played its first international match, a 0–7 loss against England. Ireland has competed in the Six Nations rugby tournament since 1883. The Ireland national rugby union team has also competed at the Rugby World Cup every four years since its inception in 1987. The 2019 Six Nations Championship was the 20th Six Nations Championship, the annual rugby union competition contested by the national teams of England, France, Ireland, Italy, Scotland, and Wales, and the 125th edition of the competition. ↑ Sheers (2013), p. 1984. 1 2 "A Brief History of the Welsh Rugby Union". Welsh Rugby Union. Retrieved 18 September 2007. ↑ "Wales' Grand Slam History". Welsh Rugby Union. 21 March 2005. Archived from the original on 3 July 2007. Retrieved 18 March 2008. 1 2 3 "History". Six Nations Rugby Ltd. Retrieved 30 November 2014. ↑ "RBS 6 Nations Fixtures & Results: 1882–1883". Six Nations Rugby. Retrieved 1 December 2014. 1 2 "6 Nations History". rugbyfootballhistory.com. Retrieved 12 August 2007. 1 2 3 "Six Nations History". 6-nations-rugby.com. Archived from the original on 17 June 2008. Retrieved 15 June 2008. ↑ Andrews (1991), p. 343. 1 2 3 4 5 6 7 8 9 10 11 "Six Nations Championship: Past Winners". ESPN. Retrieved 1 December 2014. ↑ Elliott (2012), pp. 177–178. ↑ Vincent (1998), p. 124. 1 2 McCarthy (1968), p. 46. ↑ "The 1905/06 'Originals'". rugbymuseum.co.nz. Archived from the original on 26 March 2013. Retrieved 12 August 2007. ↑ McCarthy (1968), pp. 48–49. ↑ Elliott (2012), p. 198. ↑ Parry-Jones (1999), p. 180. ↑ Davies, Sean (28 September 2006). "Mighty Boks: South African rugby". BBC Sport. Retrieved 12 August 2007. ↑ "Rugby Football". The Free Lance. Wellington. 12 January 1907. Retrieved 30 November 2014. 1 2 Davies, Sean (22 September 2005). "Wallaby wonders: Aussie rugby". BBC Sport. Retrieved 12 August 2007. ↑ Smith (1980), p. 198. 1 2 Smith (1980), p. 204. ↑ Richards (2006), p. 123. ↑ Richards (2006), p. 124. ↑ Richards (2006), p. 126. ↑ Smith (1980), p. 262. ↑ Richards, Huw (24 February 2010). "Wooller inspires British Army triumph". ESPN. Retrieved 1 December 2014. ↑ Richards (2006), p. 46. ↑ McLean (1969), p. 147. ↑ Potter (1961), p. 99. ↑ Smith (1980), p. 344. ↑ McCarthy (1968), p. 233. ↑ Smith (1980), p. 349. ↑ Smith (1980), p. 368. ↑ "World Rugby 1951 – Date". England Rugby. Archived from the original on 23 June 2015. Retrieved 23 June 2014. ↑ Smith (1980), p. 369. 1 2 Morgan & Fleming (2003), pp. 44–45. ↑ Smith (1980), p. 389. ↑ Smith (1980), p. 393. 1 2 3 Rees, Paul (17 March 2012). "Wales grand slam can herald start of new golden age". The Guardian. Archived from the original on 2 July 2015. Retrieved 2 July 2015. 1 2 3 4 Richards, Huw (26 February 2015). "The greatest Welsh player of them all bows out". ESPN. Archived from the original on 11 August 2015. Retrieved 11 August 2015. 1 2 "Gareth Edwards". ESPN. Retrieved 2 February 2013. ↑ McLean (1969), p. 144. ↑ McLean (1969), p. 119. ↑ Smith (1980), p. 400. ↑ "Grand Slam 1971". Welsh Rugby Union. Archived from the original on 27 June 2015. Retrieved 11 August 2015. ↑ "Six Nations: Golden moments". BBC Sport. 24 January 2003. Retrieved 18 September 2007. ↑ "The greatest conversion since St. Paul". ESPN. Archived from the original on 11 August 2015. Retrieved 11 August 2015. ↑ "1971 Australia & New Zealand". British Lions Ltd. Retrieved 30 November 2014. ↑ "Sport in chaos as crisis deepens". BBC Sport. 27 February 2001. Retrieved 20 September 2007. ↑ Smith (1980), p. 432. ↑ "Gran Slam 1976". Welsh Rugby Union. Archived from the original on 26 September 2012. Retrieved 11 August 2015. ↑ "RBS Six Nations: 11 Grand Slams: Grand Slam 1978". Welsh Rugby Union. Archived from the original on 27 June 2015. Retrieved 11 August 2015. ↑ "180th All Black Test: 741st All Black Game". allblacks.com. Retrieved 21 September 2007. ↑ "Andy Haden has no regrets over line-out 'dive' against Wales". BBC Sport. 24 November 2012. Retrieved 2 July 2015. 1 2 Godwin, Hugh (18 October 1998). "Haden 'dived' to cheat the Welsh". The Independent. Retrieved 2 July 2015. ↑ "Roger Quittenton". ESPN. Retrieved 2 July 2015. 1 2 "Andy Haden dives to save rugby test". Ministry for Culture and Heritage. 17 November 2014. Retrieved 2 July 2015. 1 2 Davies, Sean (13 November 2004). "All Black magic: New Zealand rugby". BBC Sport. Retrieved 25 September 2007. ↑ "191st All Black Test: 792nd All Black Game". allblacks.com. Retrieved 25 September 2007. 1 2 "1980s: v Wales". ESPN. Retrieved 11 August 2015. ↑ Davies, Sean (12 February 2007). "Eastern Promise: Japanese rugby". BBC Sport. Retrieved 18 September 2007. ↑ Peatey (2011), p. 36. ↑ Peatey (2011), p. 39. 1 2 Peatey (2011), pp. 246–247. ↑ Pye, Steven (20 March 2013). "Remembering England's woe in Cardiff in the 1989 Five Nations". The Guardian. Archived from the original on 20 January 2014. Retrieved 11 August 2015. ↑ "Wooden Spoon History". Welsh Rugby Union. 28 March 2003. Archived from the original on 2 June 2013. Retrieved 11 August 2015. ↑ Peatey (2011), p. 62. 1 2 3 Peatey (2011), pp. 264–265. ↑ "1990s: v Wales". ESPN. Archived from the original on 6 March 2016. Retrieved 13 August 2015. ↑ Peatey (2011), p. 81. 1 2 Peatey (2011), pp. 282–283. ↑ Glover, Tim (10 January 1999). "Re-enter the Dragon; interview – Kevin Bowring". The Independent. Retrieved 2 December 2014. 1 2 3 "Graham Henry". Welsh Rugby Union. Retrieved 1 December 2014. 1 2 3 Richards, Huw (12 March 2015). "Graham Henry's downfall as Wales coach". ESPN. Archived from the original on 14 August 2015. Retrieved 14 August 2015. ↑ "Henry the "Great Redeemer"". tvnz.co.nz. 6 July 2005. Archived from the original on 15 October 2007. Retrieved 27 September 2007. 1 2 Peatey (2011), p. 115. ↑ Jenkins, Tom (2 February 2013). "Bridgend and Maesteg's malaise symbolic of the decline of Welsh club rugby". The Guardian. Retrieved 15 August 2015. ↑ "Damning report questions survival of Welsh rugby regions". BBC Sport. 7 November 2012. Retrieved 15 August 2015. 1 2 Peatey (2011), pp. 323–324. 1 2 Peatey (2011), p. 160. ↑ Pyke, Chris (24 January 2014). "Where the 2005 Grand Slam winners are now". walesonline.co.uk. Retrieved 7 July 2015. ↑ Palmer, Bryn (21 March 2005). "Wonderful Wales exude joy of Six". BBC Sport. Retrieved 27 September 2007. ↑ "All Blacks step up a Gear to crush Wales". Australian Broadcasting Corporation. 6 November 2005. Retrieved 27 September 2007. ↑ "Ruddock steps down as Wales coach". BBC Sport. 14 February 2006. ↑ "Wales unveil Jenkins as new coach". BBC Sport. 27 April 2006. Retrieved 27 September 2007. 1 2 Peatey (2011), pp. 186–187. 1 2 Peatey (2011), p. 188. ↑ "Lewis explains Jenkins' sacking". BBC Sport. 5 October 2007. Retrieved 3 November 2007. ↑ "Gatland unveiled as Wales coach". BBC Sport. 8 November 2007. Retrieved 8 November 2007. ↑ "Wales prove they're Grand masters". Wales On Sunday. 16 March 2008. Archived from the original on 22 February 2014. Retrieved 2 May 2008. ↑ Corrigan, James (29 November 2014). "Wales 12 South Africa 6: Warren Gatland's men beat southern hemisphere team for first time in 23 games". The Telegraph. Retrieved 11 August 2015. 1 2 "Wales 8–9 France". BBC Sport. 15 October 2011. Retrieved 4 April 2012. ↑ "Wales 16–9 France". The Guardian. 17 March 2012. Retrieved 4 April 2012. ↑ Rees, Paul (10 February 2013). "Six Nations 2013: Wales win after George North turns screw on France". The Guardian. Retrieved 11 August 2015. ↑ "Wales bask in Six Nations title after slamming England in Cardiff rout". The Guardian. 16 March 2013. ↑ Williams, Richard (17 October 2015). "Rugby World Cup 2015: South Africa 23–19 Wales". BBC Sport. Retrieved 18 October 2015. ↑ Andrews (1991), p. 346. ↑ "Welsh rugby union strips talent from England – Cotton Traders". The Independent. UK. 6 December 1991. p. 32. ↑ Howell, Andy (13 June 2015). "Wales set to unveil a black kit to be worn at the 2015 Rugby World Cup". walesonline.co.uk. Retrieved 21 September 2015. 1 2 "Wales Out of Red and into Black". Welsh Rugby Union. 11 October 2005. Archived from the original on 21 February 2009. Retrieved 15 June 2008. ↑ "Under Armour – Official Technical Partner". Welsh Rugby Union. Retrieved 30 November 2014. ↑ Rimmer, Simon (19 November 2013). "Player 'Selfies' Reveal New Change Kit". Welsh Rugby Union. Retrieved 4 February 2013. ↑ "NZRU not approached about 2015 World Cup ad". stuff.co.nz. 2 September 2014. ↑ "WRU extends Reebok deal". BBC Sport (British Broadcasting Corporation). 23 March 2004. Retrieved 2 August 2015. ↑ "New kit deal for Wales". BBC Sport (British Broadcasting Corporation). 5 November 2000. Retrieved 2 August 2015. ↑ "New name for Welsh shirts". BBC Sport (British Broadcasting Corporation). 21 August 2002. Retrieved 2 August 2015. ↑ "WRU signs £10m deal for new kit". BBC News (British Broadcasting Corporation). 14 February 2008. Retrieved 2 August 2015. ↑ "Insurance firm Admiral is new sponsor of Welsh rugby". BBC News (British Broadcasting Corporation). 20 March 2010. Retrieved 2 August 2015. ↑ "Wales pick-up historic Isuzu shirt deal". WRU (Welsh Rugby Union). 26 June 2017. Retrieved 24 October 2017. ↑ Andrews (1991), p. 336. ↑ Andrews (1991), p. 337. ↑ Morgan (2005), p. 434. 1 2 Howell, David R. (16 April 2014). "Heritage Songs: The Decline of a Cultural Tradition". Nomos Journal. Retrieved 30 June 2015. ↑ Schofield, Daniel (10 December 2014). "Welsh rugby chiefs urged to ban Tom Jones' 'Delilah' before matches at Millennium Stadium". The Independent. Retrieved 30 June 2015. ↑ "England prepare for Cardiff with 'Hymns and Arias' rung out during training". Irish Times. 4 February 2015. Retrieved 30 June 2015. 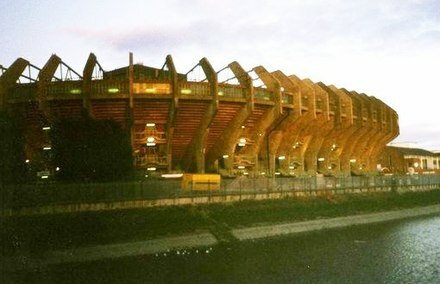 ↑ "Liberty Stadium – The Background". liberty-stadium.com. Archived from the original on 3 August 2007. Retrieved 24 August 2007. ↑ Smith (1980), p. 114. ↑ Smith (1980), p. 9. ↑ Smith (1980), p. 139. ↑ Smith (1980), p. 175. ↑ Smith (1980), p. 219. ↑ Smith (1980), p. 284. ↑ Smith (1980), p. 371. ↑ Smith (1980), p. 372. ↑ Smith (1980), p. 373. ↑ Hale, Matt (30 July 2004). "The Venue: The Millennium Stadium". TheFA.com. Archived from the original on 5 April 2005. Retrieved 18 February 2008. ↑ "Background to the Millennium Stadium Project". millenniumstadium.com. Archived from the original on 9 October 2007. Retrieved 10 November 2007. ↑ "Why is it taking so long?". Bristol Evening Post. 28 May 2007. p. 8. ↑ "Wembley Stadium". ESPN. Retrieved 30 June 2015. ↑ "The Millennium Years". The Football Association. Retrieved 30 June 2015. ↑ "Championships & Titles". Welsh Rugby Union. Retrieved 30 November 2014. ↑ "2005 Grand Slam". Welsh Rugby Union. Retrieved 30 November 2014. ↑ Peatey (2011), pp. 300–301. 1 2 "Men's World Rankings". World Rugby. Retrieved 27 February 2019. 1 2 "World Rugby Rankings". World Rugby. Retrieved 30 November 2014. ↑ "Wales move up to second in world rankings after victory at Twickenham". The Guardian. Retrieved 20 October 2015. 1 2 "Statsguru – Test matches". ESPN. Archived from the original on 5 December 2014. Retrieved 30 June 2015. 1 2 3 "Wales Stats: Country by Country Breakdown". Welsh Rugby Union. Retrieved 30 June 2015. ↑ Broadley, Luke (18 March 2015). "Four new national dual contracts". Welsh Rugby Union. Retrieved 13 August 2015. ↑ Thomas, Simon (18 March 2015). "Wales warriors Alun Wyn Jones and Dan Biggar sign dual contracts to give Warren Gatland huge boost". WalesOnline. Retrieved 30 June 2015. ↑ Thomas, Simon (24 March 2015). "Wales rugby National Dual Contract details revealed: The full story on the games our top stars can play". WalesOnline. Retrieved 30 June 2015. ↑ "Wales: Dan Lydiate joins Ospreys on a national dual contract". BBC Sport. 9 December 2014. Retrieved 30 December 2015. 1 2 3 "Quartet re-sign National Dual Contracts". Welsh Rugby Union. 28 October 2016. Retrieved 8 November 2016. ↑ "Wales dual contracts for NG Dragons pair and Scarlets prop". BBC Sport. 26 December 2014. Retrieved 30 December 2015. ↑ "Jake Ball: Wales and Scarlets second row signs dual contract". BBC Sport. 2 January 2015. Retrieved 30 December 2015. 1 2 "Trio sign national dual contracts with Scarlets and WRU". ESPN. 13 February 2018. Retrieved 10 March 2018. ↑ "Wales and Scarlets' prop Samson Lee signs national dual contract". BBC Sport. 11 January 2015. Retrieved 30 December 2015. 1 2 "Four New National Dual Contracts". Welsh Rugby Union. 18 March 2015. Retrieved 18 March 2015. ↑ "AWJ commits to Wales and Ospreys". Ospreys. 16 March 2018. Retrieved 16 March 2018. ↑ "Anscombe Signs New NDC". Welsh Rugby Union. 12 May 2017. Retrieved 12 May 2017. ↑ "Baldwin and King Sign NDCS". Welsh Rugby Union. 5 November 2015. Retrieved 30 December 2015. ↑ "Davies returns to Wales on NDC". Welsh Rugby Union. 16 May 2016. Retrieved 8 November 2016. ↑ "Halfpenny signs National Dual Contract". Welsh Rugby Union. 3 August 2017. Retrieved 4 August 2017. ↑ "George North signs for Ospreys". Welsh Rugby Union. 25 April 2018. Retrieved 25 April 2018. ↑ "The International Rugby Hall of Fame". The International Rugby Hall of Fame. Archived from the original on 22 June 2013. Retrieved 30 November 2014. ↑ "IRB Hall of Fame welcomes 15 new inductees". World Rugby. 18 November 2014. Retrieved 30 November 2014. ↑ "World Rugby Awards Past Winners". World Rugby. 2014. Retrieved 23 June 2015. 1 2 "International Individual Records". superrugby.co.za. 13 August 2007. Archived from the original on 14 May 2008. Retrieved 15 June 2008. ↑ "Neil Jenkins". ESPN. Retrieved 4 February 2013. ↑ "Statsguru / Test matches / Player records". ESPN. Archived from the original on 22 October 2013. Retrieved 4 February 2014. ↑ Richards, Huw (5 June 2012). "The little winger who left a big impression". ESPN. Retrieved 4 February 2013. ↑ "Colin Charvis". ESPN. Retrieved 4 February 2013. ↑ "Wales Records & Milestones: Welsh Centurions". Welsh Rugby Union. Retrieved 16 March 2014. ↑ "Wales Captains: 1881–Present". Welsh Rugby Union. Retrieved 4 February 2013. ↑ Sportsbeat (20 March 2010). "Hook crosses twice in Wales romp over Italy". Six Nations Rugby Ltd. Archived from the original on 15 December 2013. Retrieved 22 March 2010. ↑ James, Steve (20 March 2010). "Tom Prydie's record-breaking Wales debut made little sense". The Telegraph. Retrieved 4 February 2014. ↑ Thomas, Simon (7 June 2010). "Pride as record Wales try for Tom Prydie". walesonline.co.uk. Retrieved 4 February 2010. ↑ Richards, Huw (19 November 2010). "A record-breaking debut". ESPN. Retrieved 4 February 2014. 1 2 "Warren Gatland". Welsh Rugby Union. Retrieved 2 July 2015. ↑ Morgan & Fleming (2003), p. 46. ↑ "Wales' rugby coaches". BBC Sport. Retrieved 31 January 2014. ↑ "Gareth Jenkins". Welsh Rugby Union. Retrieved 31 January 2014. ↑ "Robin McBryde". Welsh Rugby Union. Retrieved 31 January 2014. ↑ "Rob Howley". Welsh Rugby Union. Retrieved 31 January 2014. Andrews, David (1991). "Welsh Indigenous! and British Imperial? – Welsh Rugby, Culture, and Society 1890–1914" (PDF). Journal of Sport History. 18 (3): 335–349. Dine, Philip (2001). French Rugby Football – Cultural History. Berg. ISBN 978-1-85973-327-1. Elliott, Matt (2012). Dave Gallaher – The Original All Black Captain (paperback). London: Harper Collins. ISBN 978-1-86950-968-2. Griffiths, John (1987). The Phoenix Book of International Rugby Records. London: Phoenix House. ISBN 978-0-460-07003-4. Harris, John (2007). "Cool Cymru, rugby union and an imagined community". International Journal of Sociology and Social Policy. 27 (3/4): 151–162. doi:10.1108/01443330710741084. Howell, Max (2005). Born to Lead – Wallaby Test Captains. Auckland, New Zealand: Celebrity Books. ISBN 978-1-877252-18-1. Morgan, Leighton; Fleming, Scott (2003). "The Development of Coaching in Welsh Rugby Union Football" (PDF). Football Studies. 6 (2): 39–51. Johnes, Martin (2008). "A Prince, a King, and a Referendum: Rugby, Politics, and Nationhood in Wales, 1969–1979". The Journal of British Studies. 47 (1): 129. doi:10.1086/522347. McCarthy, Winston (1968). Haka! The All Blacks Story. London: Pelham Books. McLean, Terry (1959). Great Days in New Zealand Rugby. Wellington, New Zealand: A. H. & A. W. Reed. McLean, Terry (1969). Red Dragons of Welsh Rugby. Wellington: A. H. & A. W. Reed. ISBN 978-0-589-00395-1. Morgan, Gareth (May 2005). "Rugby and Revivalism: Sport and Religion in Edwardian Wales". The International Journal of the History of Sport. 22 (3): 434–456. doi:10.1080/09523360500064057. Palenski, Ron (2003). Century in Black – 100 Years of All Black Test Rugby. Hodder Moa Beckett Publishers Limited. ISBN 978-1-86958-937-0. Parry-Jones, David (1999). Prince Gwyn, Gwyn Nicholls and the First Golden Era of Welsh Rugby. Bridgend: seren. ISBN 978-1-85411-262-0. Peatey, Lance (2011). In Pursuit of Bill: A Complete History of the Rugby World Cup. New Holland Publishers. ISBN 978-1-74257-191-1. Potter, Alex; Duthen, Georges (1961). The Rise of French Rugby. Wellington: A. H. & A. W. Reed. Richards, Huw (2006). A Game for Hooligans. Mainstream Publishing. ISBN 978-1-84596-016-2. Ryan, Greg (2005). The Contest for Rugby Supremacy – Accounting for the 1905 All Blacks. Canterbury University Press. ISBN 978-1-877257-36-0. Sheers, Owen (2013). Calon: A Journey to the Heart of Welsh Rugby. Faber & Faber. ISBN 978-0-571-29731-3. Smith, David; Williams, Gareth (1980). Fields of Praise: The Official History of The Welsh Rugby Union. Cardiff: University of Wales Press. ISBN 978-0-7083-0766-3. Vincent, V. T. (1998). "Practical Imperialism: The Anglo‐Welsh Rugby Tour of New Zealand, 1908". The International Journal of the History of Sport. 15 (1): 123–140. doi:10.1080/09523369808714015. Wikimedia Commons has media related to Wales national rugby union team .